During half-term, we had a brand new Multi Use Games Area (MUGA) installed on the KS2 playground. This was funded using a portion of our Sports Premium grant from the Government. 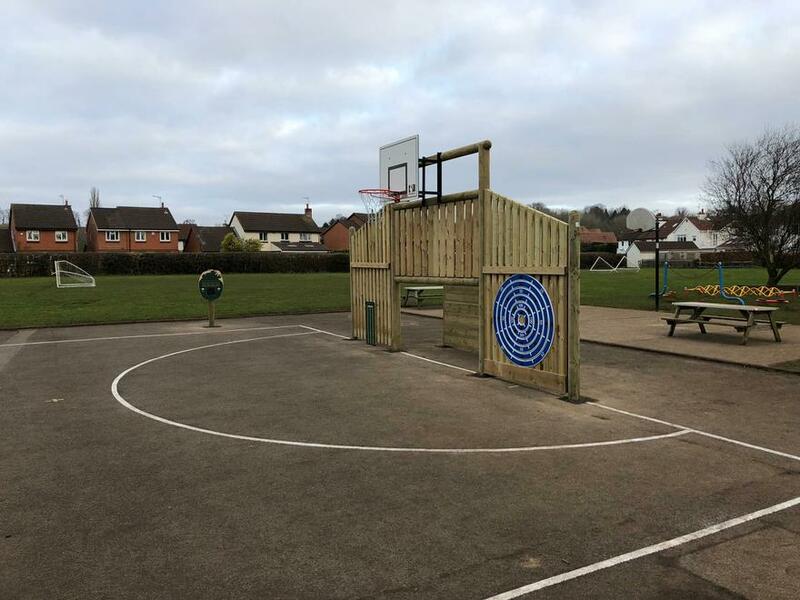 We wanted to use the money to improve the outdoor learning environment and to provide a sporting legacy that the children of Collingham School could benefit from for many years to come. The new MUGA consists of a pair of timber-framed structures that facilitate games of football, basketball and cricket. We also had a solar-powered stop-clock installed and had the playground lines remarked. The children have really enjoyed using this over the course of the week and we will ensure that all of the children in school have access to it.